It's nearly two years since fans said an emotional farewell to Westlife and former frontman Shane Filan is the first of the group to hit the road on a solo tour following the success of his 2013 album You and Me. Glasgow's Concert Hall was packed to the rafters with 2,500 fans aged 13-80 and, while there were fewer fans than the days when Westlife filled Hall 4 at the SECC, what they lacked in numbers was made up tenfold in volume and enthusiasm. From the moment Filan stepped onto the stage, seats were abandoned and a roar filled the hall. Used to the overwhelming reaction from Glasgow's notoriously appreciative audience, Filan acknowledged the increasing level of excitement with a simple, grinning "What did I tell you about Glasgow lads?!" directed at the five piece band behind him. 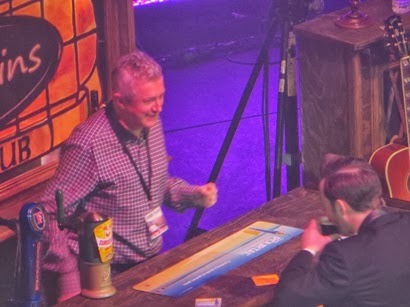 In direct contrast to the arena's busting stages of the Westlife days, a creative, intimate set featuring a well-loved leather couch, bar, furniture and lamps transformed the hall into O'Fialáin's bar for the night where Louis Walsh made a surprise appearance as barman at one point. 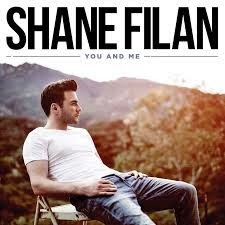 A talented storyteller, Filan uses his songs and his vocal ability to take the audience on an emotional journey. 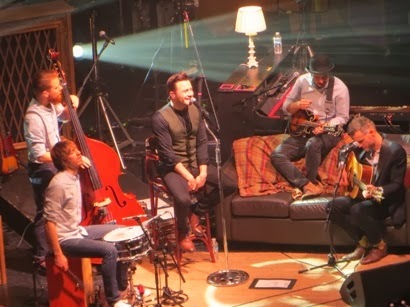 The relaxed setting showcased Filan and his talented band, including drums, guitars, double bass, fiddle and piano, beautifully, creating an opportunity for an acoustic set that felt as at home in a cavernous concert hall as it would in the fabled Irish bars where musicians crowd round each other and jam. 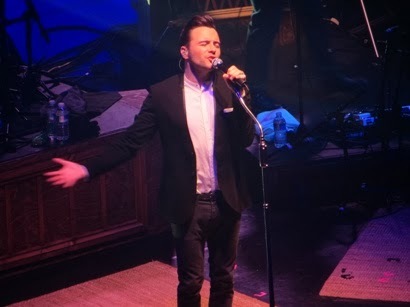 Filan's incredible musicality and vocal dexterity allows for a varied setlist that flips easily from the country infused, storytelling songs from his album such as About You, Once and Baby Let's Dance to Westlife classics What Makes a Man and You Raise Me Up but also Robin Thicke's Blurred Lines and Avicii's Wake me Up which threatened to bring the house down. Blurred Lines caused a real fear for the fixtures and fixtures in the ensuing audience frenzy! A duet version of Flying Without Wings with the audience was an obvious crowd pleaser but it was his encore of solo hits Everything to Me and Knee Deep in my Heart that were sure to have the audience dancing in the aisles and leaving wanting more. His first solo tour is definitely a departure from the old Westlife days but with just enough of that Irish magic to ensure that the fans embark on this solo journey with him. Judging by the smiling, singing crowd that left clutching programmes and already wearing t-shirts emblazoned with Filan's face this certainly won't be a one hit wonder tour. They'll need Guinness on tap at O'Fialáin's for the celebratory beers. Sláinte!